WOW. Ok this is what a real novel should be ! It’s literary amazing. I kept rereading some paragraphs again and again. I’m in love with this novel ! The novel tells the story of Helen, an American young girl, who after losing her father and brother in the war, decided to go to Vietnam to cover the war. When she first went she was 20 years old. The story then recounts the struggle she went through to prove herself among her male colleagues and to survive the horrible conditions of the war. After many years through which she witnessed the death of many reporter and soldier friends, Helen fell in love with a Vietnamese young man, Linh, who himself suffering from the loss of his family…and his country. Both worked then together for years, until the day the American Embassy announced that all American should leave the country, because the Communists took over the capital city. She forced Linh, who was shot, to leave and she stayed behind because she is still eager to cover the war to the last minute. She later became a hostage in Cambodia and Linh flays back from America to rescue her. Both reunited at the end. The Lotus Eaters is a novel about loss, loneliness, sacrifice and love. Soli wrote the novel in a splendid way. The description of the horrible condition of the wartime is captivating. Her detailed description of the life and people there highlights the novel’s sharp realism. I was lost when she described how Helen and other characters suffer from loneliness within and how sometimes we cannot break the confines around us. With her novel, Soli tries to show the wrongness of the stereotypes. She shows how ,with the help of Linh, Helen changed and saw Vietnam and its people, the real ones. The novel’s title refers to a passage in Homer’s ­“Odyssey” about a country of lotus eaters, a “race that eat the flowery lotus fruit” and share it with anyone wash ashore, so they won’t want to leave. The metaphor is clear: in the novel ( as well as in life in general) there are those who eat the lotus and those who do not. Some of us visit a place or fall in love with someone, and willingly “eat the fruit” and become forever part of this place or this person, even if this place or person is no longer there…and there are the opposite. Helen is from the first type. Visiting Vietnam, she becomes part of it. She cannot leave it behind. For ten years she stayed there. When she went for a break to America she felt lost and went back. And this is life…and that is why we sometimes feel there is a void inside us…we become part of that person and cannot leave them. They are part of us even if we tried to run away from this fact. That is why even though Helen tried to escape, she couldn’t…. she has become one of the lotus eaters herself: “My whole experience was clouded over there.” The love and sacrifice shown in the novel is magnificent, too. Nothing I write could be enough to describe this novel. It is SPLENDID. 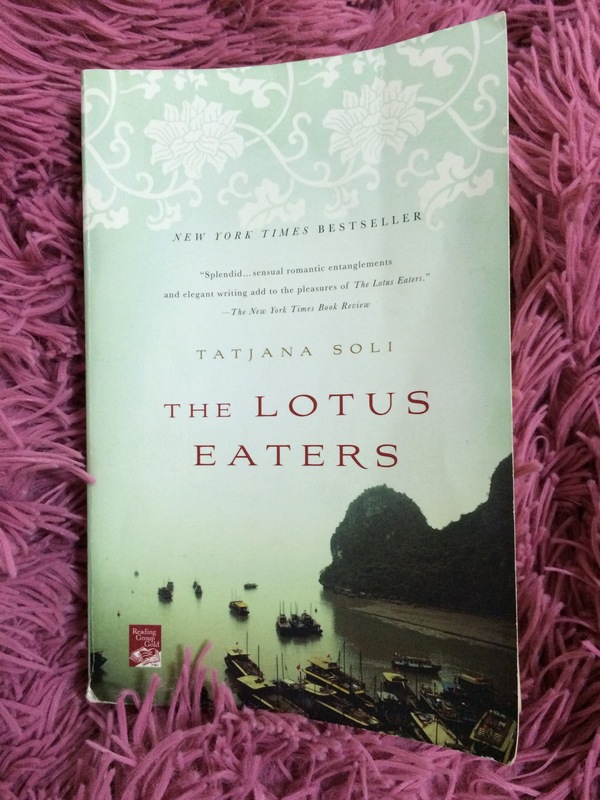 Reading this novel encouraged me to read more about Vietnam too. I’m really in love with it.